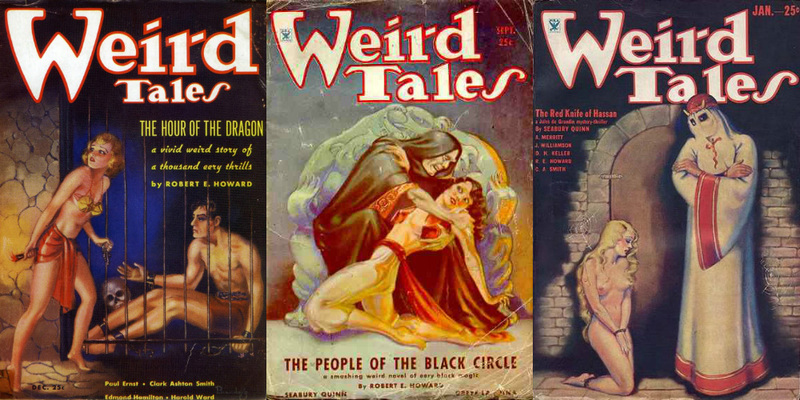 Who were the most popular writers of Weird Tales magazine? Most readers would name Robert E. Howard, H.P Lovecraft and Clark Ashton Smith. 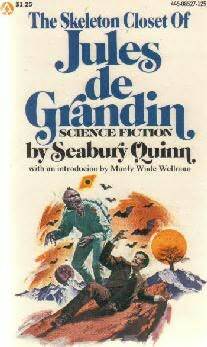 But we keep forgetting Seabury Quinn — the creator of the once incredibly popular occult detective Jules de Grandin. Quinn, a resident of Washington D.C., was a law graduate. He served in World War I and subsequently started his writing career as a pulp fiction writer. 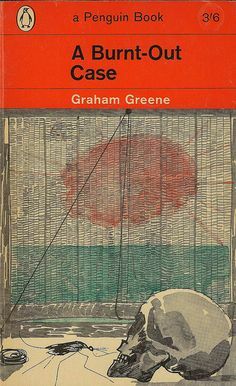 His early stories include Demons of the Night (published in Detective Story Magazine), Was She Mad, The Stone Image, and The Phantom Farmhouse. Quinn also worked as a government lawyer during World War II. 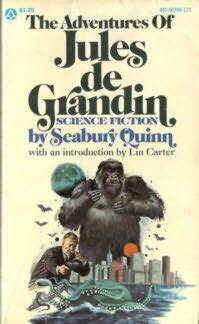 Quinn’s main claim to fame was, of course, Jules de Grandin. Interestingly, he was not the first to develop the concept of occult detective. Notable examples from the past include Sax Rohmer’s Morris Klaw (check out The Dream Detective), and Algernon Blackwood’s John Silence: Physician Extraordinary. However, Grandin simply smoked his predecessors to ashes in terms of popularity. Right from their first adventure together on Weird Tales — The Horror on the Links — Grandin and Trowbridge was a blockbuster hit with the readers. 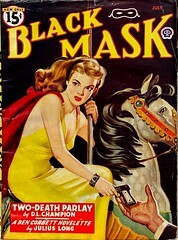 The occult detective turned out to be one of the most popular attractions of Weird Tales and this led to Quinn’s lifelong association with the magazine. 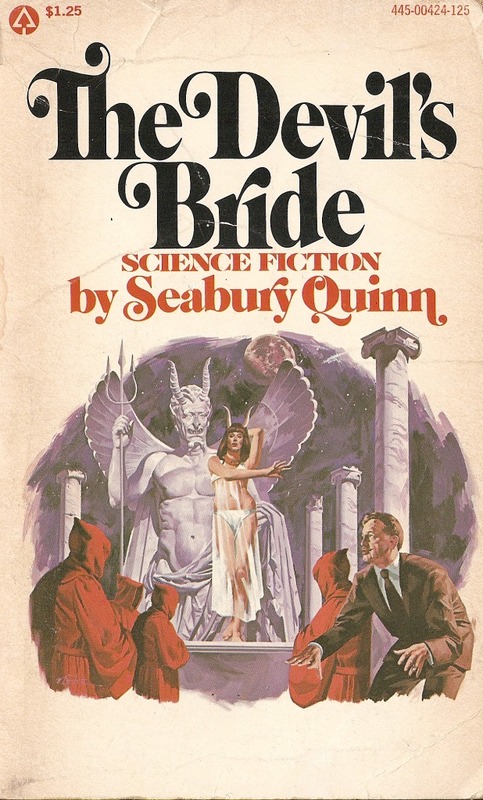 Quinn’s work was even more popular than his iconic competitors like Howard and Lovecraft. He knew exactly what the readers wanted and dished out something unapologetically pulp and surprisingly non-repetitive with the right dose of sensuality. Also, he was Weird Tales’ most prolific writer by far. • The Skeleton Closet of Jules de Grandin. 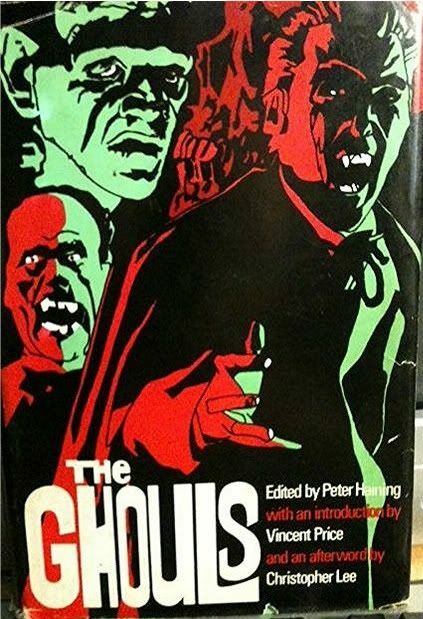 Quinn’s last pulp story was Master Nicholas (1965) published in The Magazine of Horror. He died in 1969, just a week before his 80th Birthday. For those of us who are rooted in and sustained by an unforgivable passion for horror, terror, and black magic, the name Peter Alexander Haining carries a lot of weight. This versatile dude (writer, journalist, and anthologist) delivered one after another knockout stuff — The Necromancers, The Black Magic Omnibus, Weird Tales anthologies, The Fantastic Pulps and lots more. If someone ever conducted a poll on the best editor of fantasy and occult books, Mr. Haining would simply whitewash his pals. 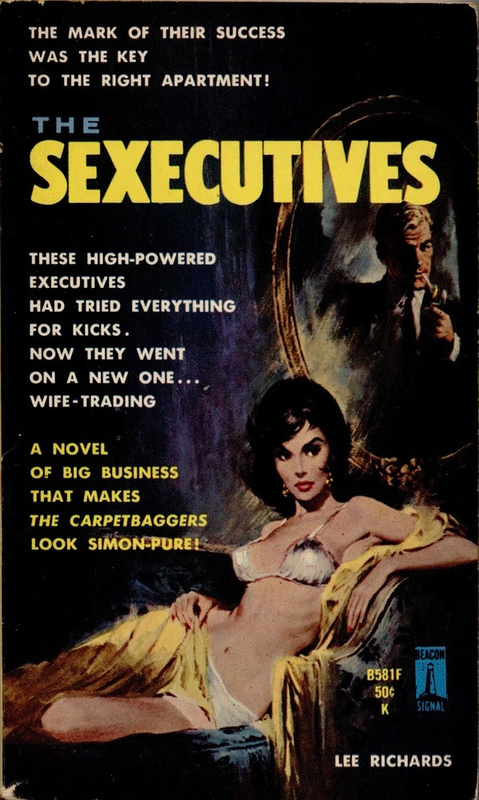 As a kid, our favorite editor was deeply influenced by pulp magazines of his day, magazines that were replete with illustrations of brutal action and mesmerizing dames. His feverish imagination threw him into an intriguing maze of fantasy and horror, which affected him profoundly. Haining began his career as a journalist in Essex and subsequently joined New English Library. At NEL he worked with Ian Fleming on a biography of James Bond. 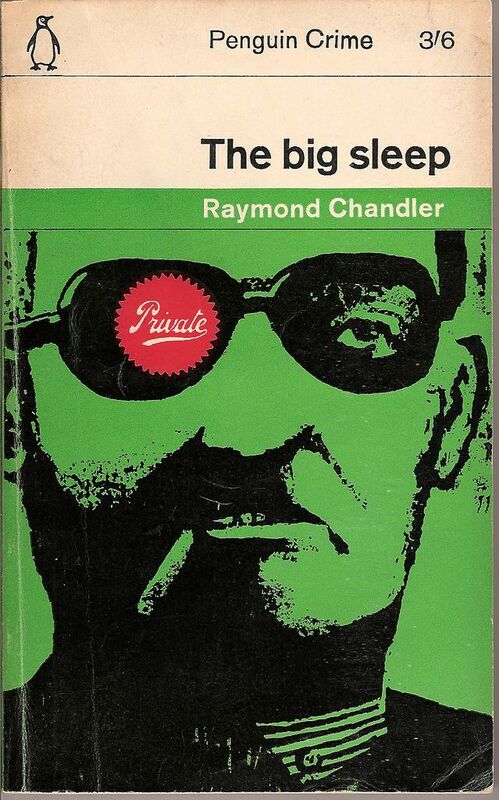 Perhaps, Fleming inspired him to come up with crime driven anthologies that he published for NEL. Haining went on to become the Editorial Director of the publishing house, but left NEL to pursue the career of a full-time writer and editor. The editor launched NEL young writer of the year award, which was a big hit. Do you know it was Haining who spotted Philip Pullman and gave him a break? The Haunted Storm, Pullman’s first venture, was issued by Pete. Why did Haining move into editing horror anthologies? Well, he thought that horror collections of his time were all blood and gore; the stories missed the ingredients of a good adventure novel. So he started with the idea of adding a new dimension to the concept of horror anthology. Also, he started the trend of adding a short author bio with all the stories he selected for his books. Haining used some particular stories over and over in his books — this is one common allegation against the editor. He never denied it but pointed out that he re-used the stories years apart, which made sense because he was talking to an entirely new generation. I would like to add here that I’ve found plenty of rare and new treasures in Haining’s books. So he might be forgiven for being a bit repetitive. People who knew Haining unanimously agree that he was an agreeable and friendly fella. He was the owner of a massive library of mystery fiction, and his knowledge of the genre was encyclopaedic. Haining admired Charles Dickens, whose contribution to crime fiction, he thought, is highly underrated. The editor won The British Fantasy Award in 2001. Peter Haining passed away on November 19 2007. He was a firm believer in ghosts. Let him be the Tsar of all pulp spirits. The legendary Weird Tales, arguably the best known horror and pulp fiction magazine of all time, needs no introduction. It launched the careers of master writers of the genre like Lovecraft and Clark Ashton Smith. WT was a stately galleon carrying bizarre and unusual treasures. It presented us sparkling jewels of literature like August Darleth, Ray Bradbury, Robert Bloch and Seabury Quinn among others. Renowned artists like Margaret Brundage, J. Allen St. John, and Virgil Finlay made Weird Tales famous for its outstanding cover and interior art. Unfortunately, Weird Tales was ahead of its time. Its bizarre content was not appreciated by contemporary readers and the magazine was on the verge of bankruptcy during the time of Edwin Baird, its first editor. Baird’s successor, Farnsworth Wright, had better luck. The immensely popular Conan the barbarian stories of Howard were published during Wright’s editorial reign. Did you know that Wright infamously rejected Lovecraft’s The Call of Cthulhu? He thought it was too esoteric. Dorothy McIlwraith was the next WT editor. The new editor shifted the focus of the magazine from Howard’s Sword and Sorcery to typical horror & SF stuff. McIlwraith introduced promising new authors like Bradbury and Theodore Sturgeon to WT readers.  In spite of all the efforts, Weird tales circulation never crossed 50,000. It terms of readership, it was way behind the bigger players like The Shadow. In the post World War II era, Weird Tales faced stiff competition from paperbacks, comic books, and radio. Newsprint shortage added to its woes. Finally, after 279 issues, Weird Tales ceased publication in 1954. Since then WT has seen several reincarnations. Respected figures like Stephen H. Seagal and Marvin Kaye has managed WT in recent times. These days, critics and readers hold Weird Tales in high esteem. The Magazine has gained a cult status and a loyal following. It is widely considered as a landmark effort in Weird fiction. A lot of people still search for old issues of Weird tales, feel nostalgic about the priceless old advertisements that appeared on the magazine, and long for those double column retro pages. 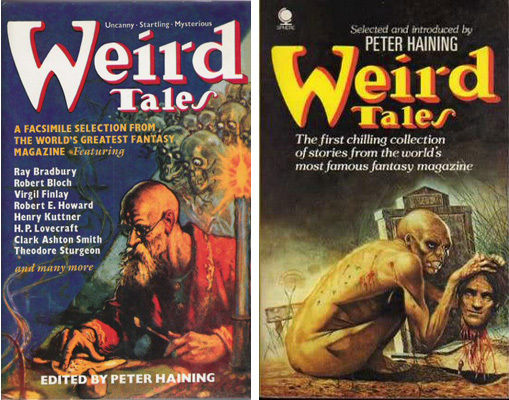 Weird Tales has won Hugo Award and World Fantasy Award for its significant contribution to the genre. More importantly, it has given us a frighteningly delightful world to escape to. May those pages never die. 2) Worlds of Weird (1965) all edited by Leo Margulies. 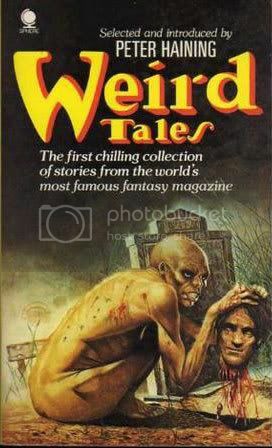 4) Weird Tales (1976) ed. Peter Haining. 5) Weird Legacies (1977) ed. Mike Ashley. 6) Weird Tales:The Magazine That Never Dies (1988) ed. Marvin Kaye. 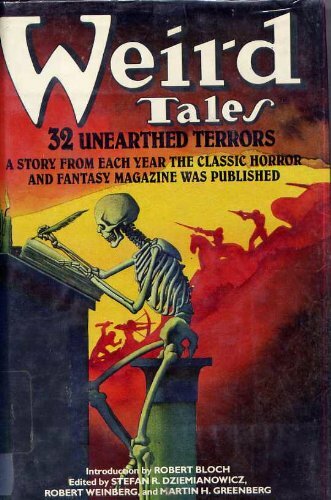 7) Weird Tales: 32 Unearthed Terrors (1988) ed. Weinberg, Stefan R. Dziemianowicz and Martin H. Greenberg. 8) The Eighth Green Man and Other Strange Folk (1989) ed. Weinberg. 9) 100 Wild Little Weird Tales (1994) ed. Weinberg, Dziemianowicz and Greenberg. 10) Best of Weird Tales (1995) ed. John Gregory Betancourt. 11) The Best of Weird Tales: 1923 (1997) ed. Kaye and Betancourt. 12) Weird Tales: Seven Decades of Terror (1997) ed. Weinberg and Betancourt. 13) Weird Tales: The 21st Century (2007) ed. Segal and Wallace.